One of the best from these kind carving paintings ,done by famous artist of our gallery . Miniature detailing carving gives more delicacy to the artwork. Real 24 gold foil work is there, Swarovski crystals work is there. 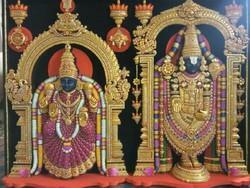 It takes 60 day for this kind of art work for completion. 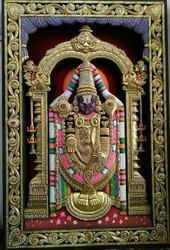 We are offering Tirupati Balaji Painting to our client. 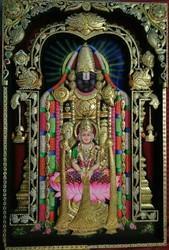 Looking for Tirupati Balaji Paintings ?